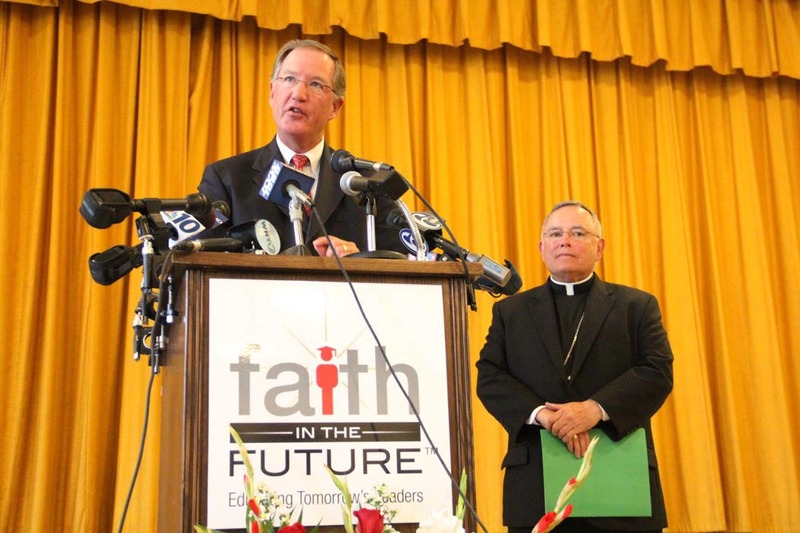 The Archdiocese of Philadelphia and the Faith and the Future Foundation, today announced that an agreement-in-principle has been reached to create an independently managed Catholic school system that would encompass the 17 high schools within the Archdiocese as well as its four schools of special education. 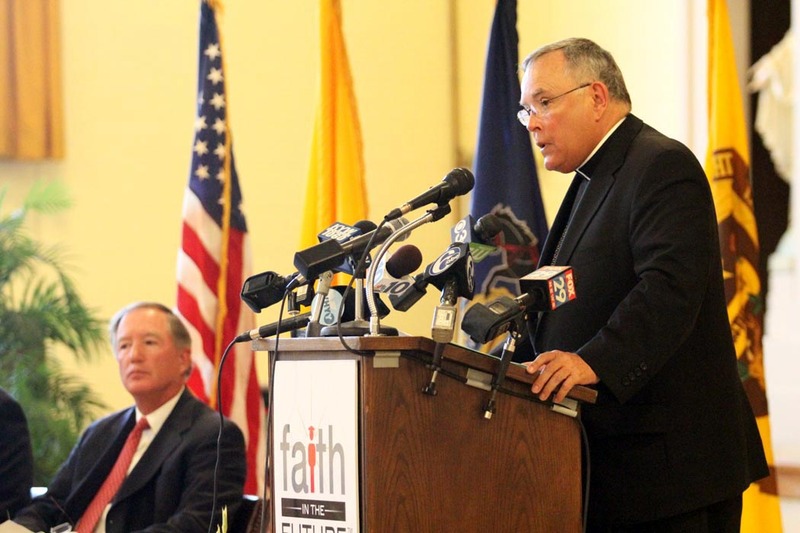 Archbishop Charles Chaput made the announcement at a press conference held at St Hubert Catholic High School. 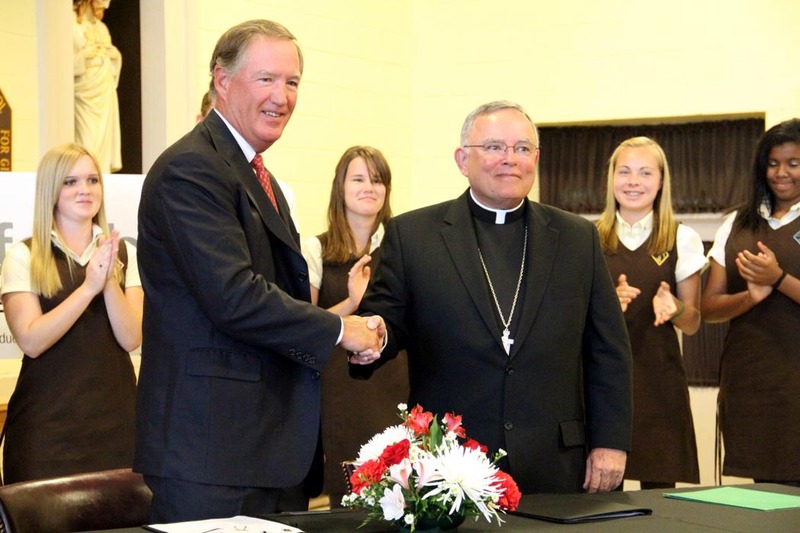 The Foundation will assume strategic and operational management of these 21 Archdiocesan schools effective September 1, focusing upon major fundraising, enrollment management, marketing and cultivating best practices in leadership and education. 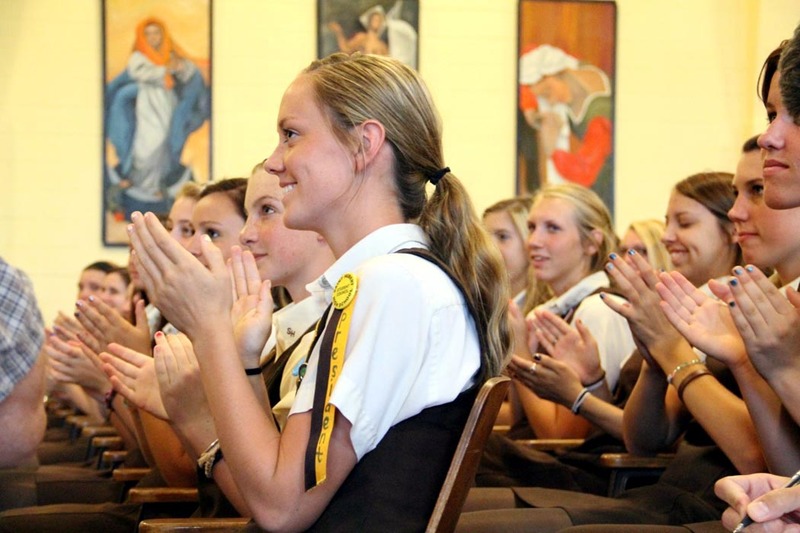 Girls from St. Hubert Catholic High School listen as the announcement is made. 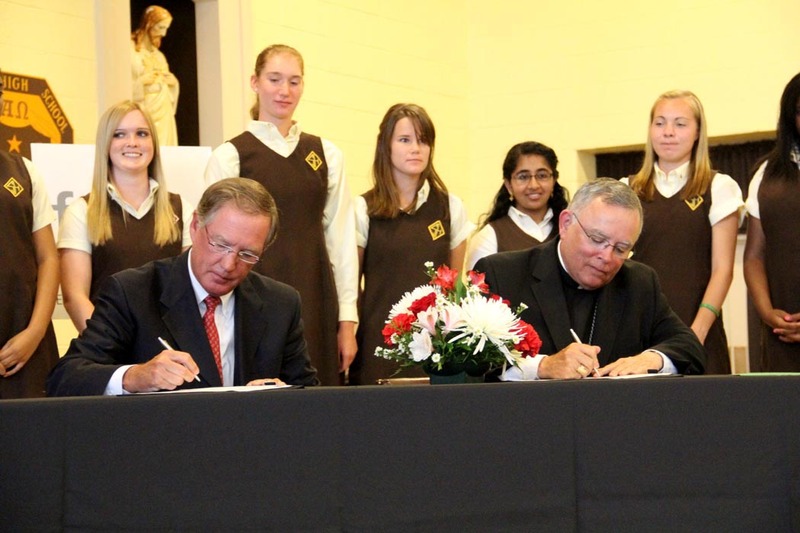 H. Edward Hanway, chairman of the Faith in the Future Foundation and Archbishop Charles Chaput sign the agreement. 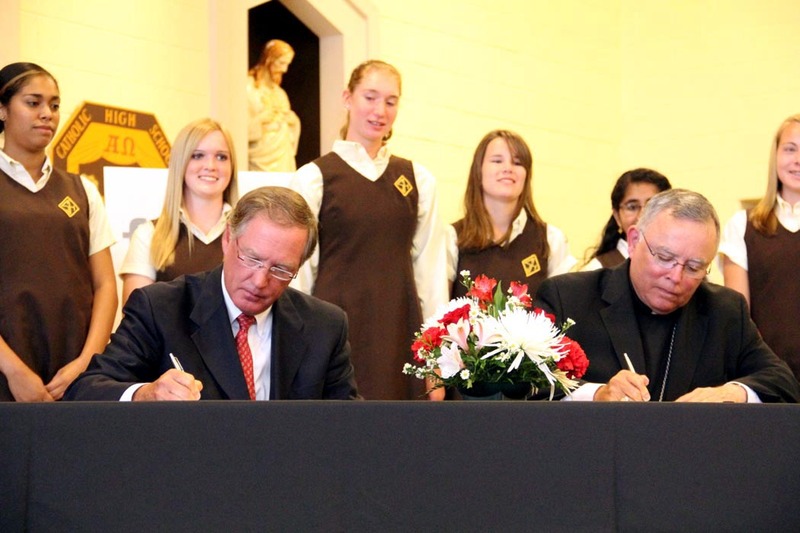 H. Edward Hanway, Chairman of the Faith in the Future Foundation, and Archbishop Charles Chaput are all smiles after signing the new agreement. 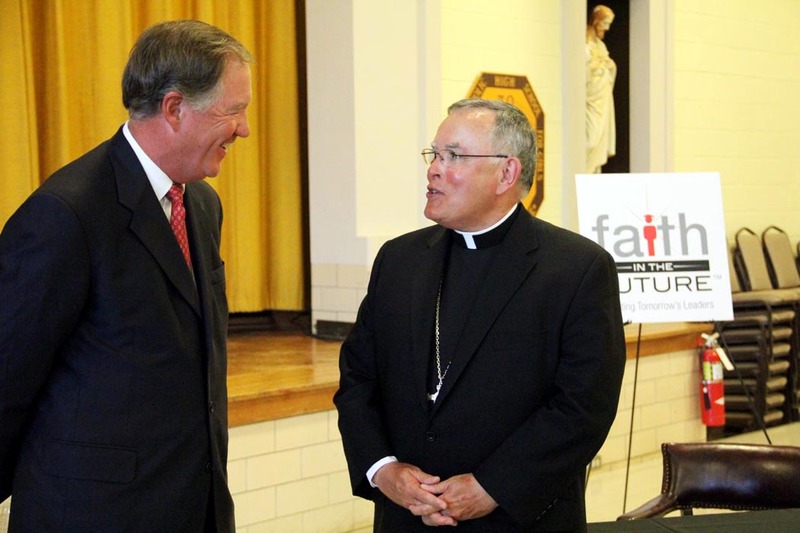 A new executive management team is currently being created for the Faith in the Future Foundation. 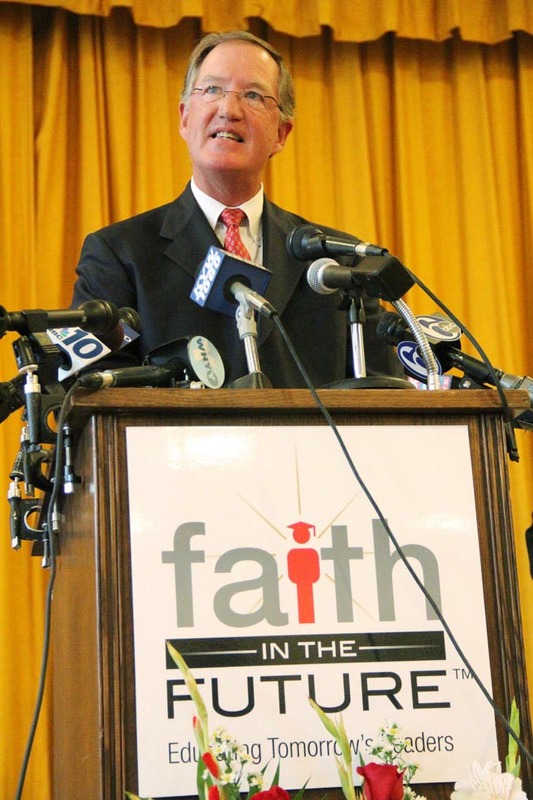 H. Edward Hanway, chairman of the Faith in the Future Foundation and former chairman and Chief Executive Officer of CIGNA Corp., speaks at the Aug. 21 press conference. 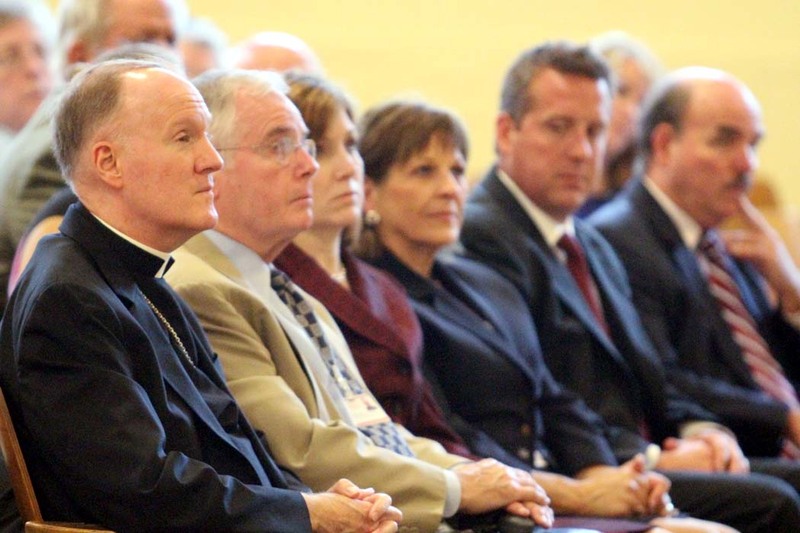 The responsibilities of OCE remain focused upon curriculum and standards, academic and spiritual development of students, co-curricular and extra-curricular programming, and the professional development of teachers. 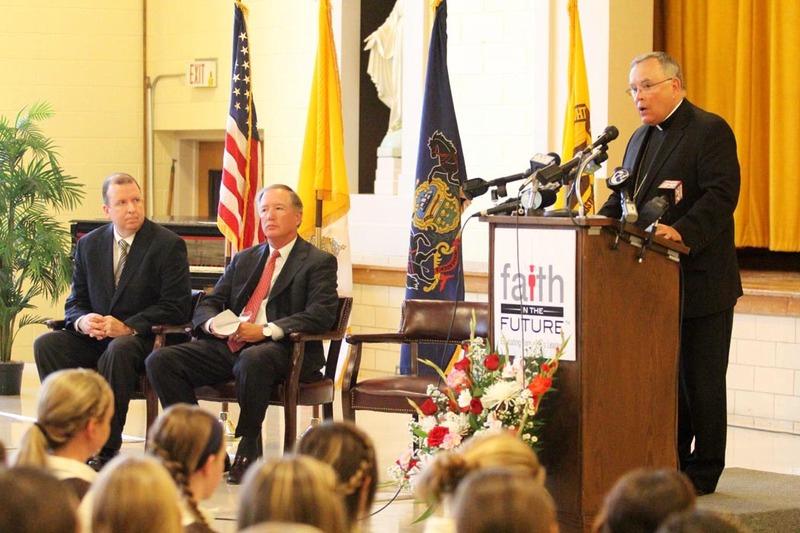 A round of applause came from the students of St. Hubert Catholic High School for Girls in Northeast Philadelphia, where the press conference was held Aug. 21. 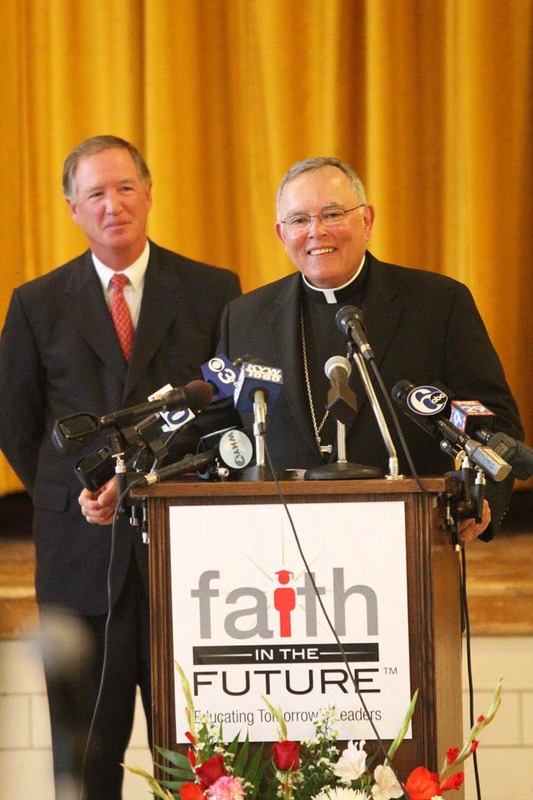 “Today’s agreement between the Archdiocese of Philadelphia and the Faith in the Future Foundation is unlike any agreement that a diocese has achieved with its lay leadership,” said Archbishop Charles J. Chaput. 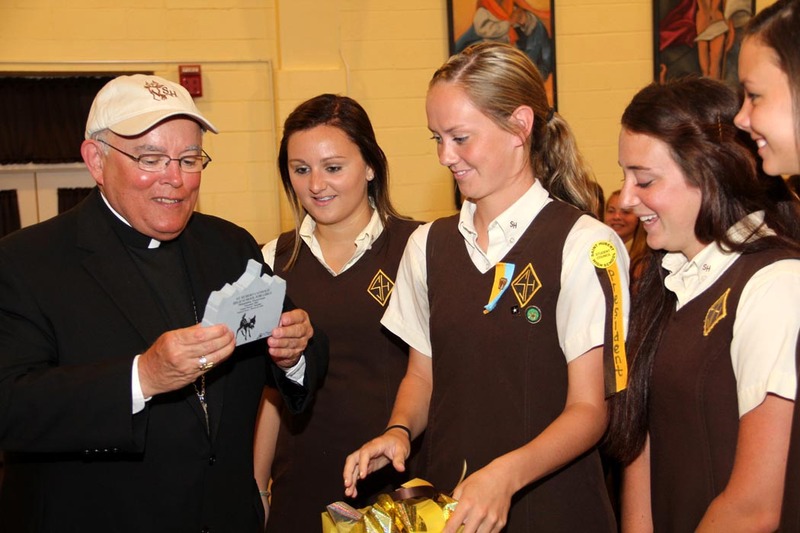 Students from St Hubert High School give a basket of gifts to the archbishop that included a hat with the school name. 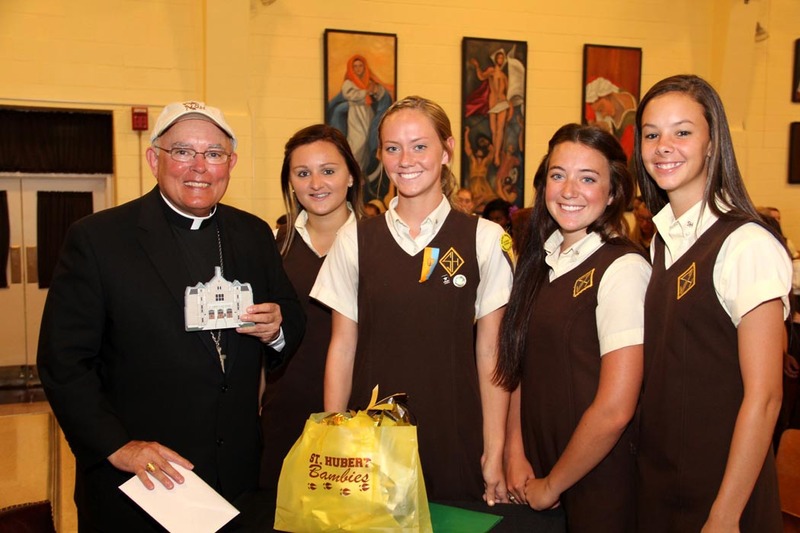 Archbishop Charles Chaput with students from St. Hubert Catholic High School for Girls, Philadelphia. 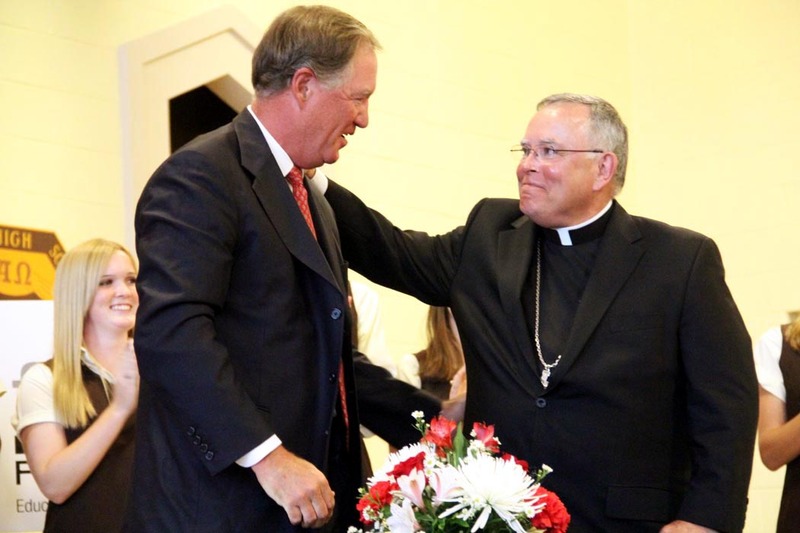 Auxiliary Bishop Michael J. Fitzgerald, who oversees Catholic education for the Archdiocese of Philadelphia, will serve on the Foundation’s Board of Directors, whose inaugural appointments will be announced this fall. 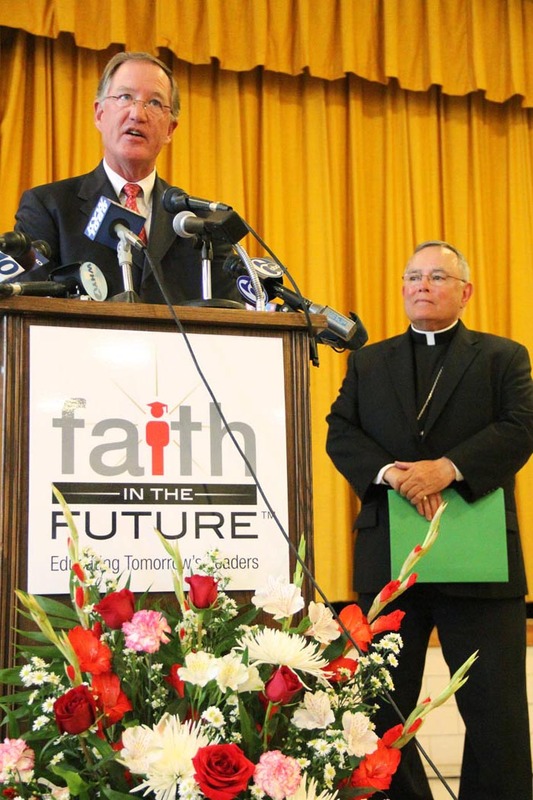 The Office of Catholic Education (OCE), which is vital to the academic, co-curricular and extracurricular success of students within the secondary schools and schools of special education, will become a division of the Faith in the Future Foundation, reporting directly to the Foundation’s CEO.